Glasser, Nathan Fake, Moderat, Boards of Canada, DIM and more. We&apos;re kind of excited about this one. 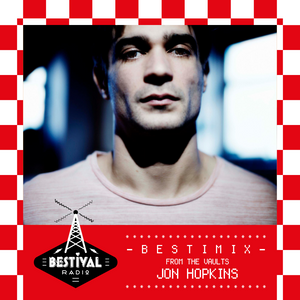 Our latest Bestimix is a wee bit special, compiled by one of Britain&apos;s best new young producers, singularly talented musicians and all-round good egg, Jon Hopkins. A long-time collaborator with Brian Eno, Jon has remixed the likes of Four Tet and Wild Beasts, composed a score for Lord of the Rings director Peter Jackson, opened for Coldplay and created an album of restlessly experimental electronic music for Domino (phew!). So for a chap with such broad tastes perhaps the genre-straddling nature of this mix isn&apos;t surprising; it is, however, thrilling - a wide-eyed trip through Boards of Canada&apos;s uneasy ambience to Modeselektor&apos;s viciously dumb electro and Glasser&apos;s glacial pop beauty. Enjoy!